Everyone has heard of Adobe Creative Suite, which allows you to create all types of print, web, and mobile design. With it, comes a hefty price to get all the applications to have a full design studio. Additionally, if you are using a computer system that doesn’t have the software installed, then you are not able to access your files to continue designing. There is an application called Aviary that provides a way for Artists to create wonderful designs directly on the web. It also provides a way for you to interact with other artists to share and provide inspiration. 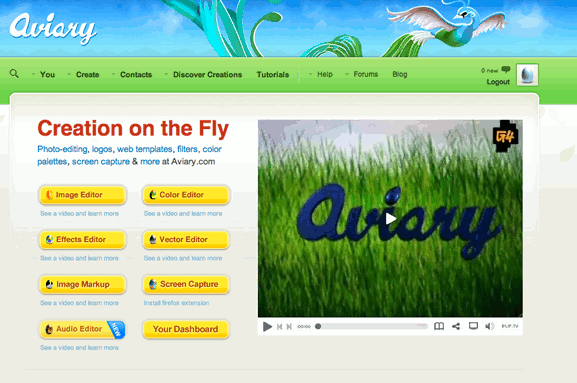 Aviary has different editors to allow a designers to create different kinds of creation. 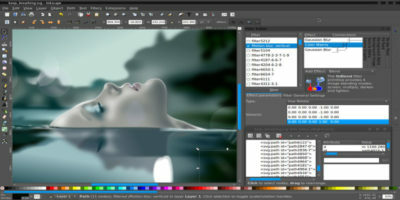 These are Image Editor (Phoenix), Color Editor (Toucan), Effects Editor (Peacock), Vector Editor (Raven), and Audio Editor (Myna). There are also two tools: Screen Capture (Talon) and Image Markup (Falcon). The site also allows you to customize your own dashboard view if you register. On this dashboard, you have the ability to view, move, or remove the different levels (i.e. everyone’s, friends, and/or yours) of activity and creations. The sidebar can’t be removed and it has the different Aviary tools from which you can choose from. It also has the account settings, such as editing your profile. It also shows the level that you are on; for instance, I am a “Fledgling,” which seems to be a popular trend on many web sites. 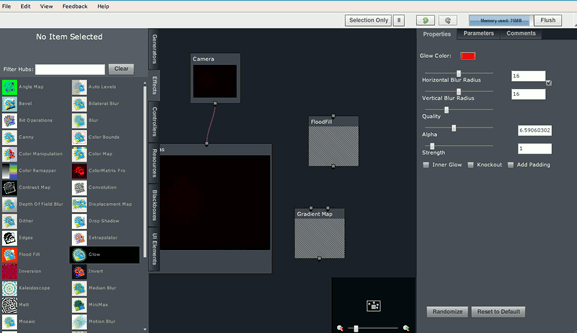 The Image Editor is very similar to Photoshop or Fireworks. It allows you to work in layers and group them together. You are able to easily create layers from the other Aviary editors (i.e. Raven, and Peacock) that allows you to use the features not in Phoenix. One thing that I didn’t understand is why there was a difference between a “regular” layer and a Phoenix layer. If you click on it, it opens up a new Image Editor window. 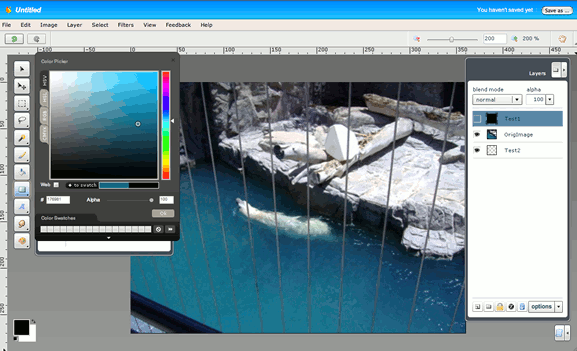 The color picker is very easy to use, and you are able to grab the colors in the image, and save it in the program. The History feature is great to see all the modifications that have been done to the image, and provide a way to remove it. Toucan allows you to create and modify different color palettes for your design. There are three areas: clipboard, image picker, and color deficiency preview. 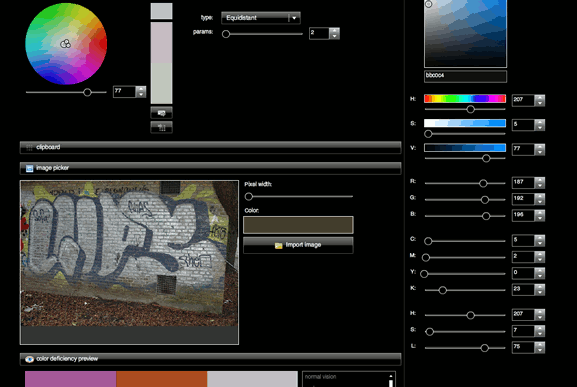 One of the great features is the amount of images you are able to use in the color editor. 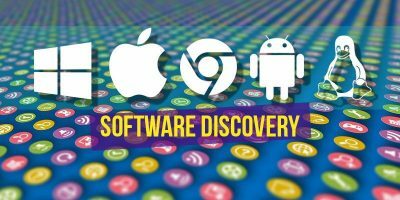 You can import an image from your local drive, URL, Aviary library, Flickr, Facebook, or Picasa. When you import from any place other than your local drive, then it is pretty quick. However, when you are importing from your system, it took awhile. Overall, this is a neat feature that could help with trying to find the perfect color palette for your designs. Peacock is the neatest tool Aviary has to offer. You are able to create different kinds of creations from scratch. It provides you so many options that it makes it easy to design anything that you want. One thing that I found very neat is that you can use your webcam to take a snapshop to use as a starting point. There are many effects to enhance your design. 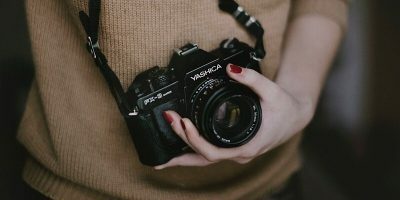 You are able to connect (or disconnect) different types of features on your final creation. 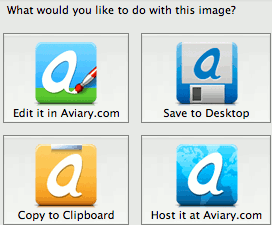 Like Toucan, you are also able to import images from local drive, URL, Aviary library, Flickr, Facebook, or Picasa. This is amazing and it was very easy to use. Aviary also provides a video tutorial that really helps you understand how to use Peacock. 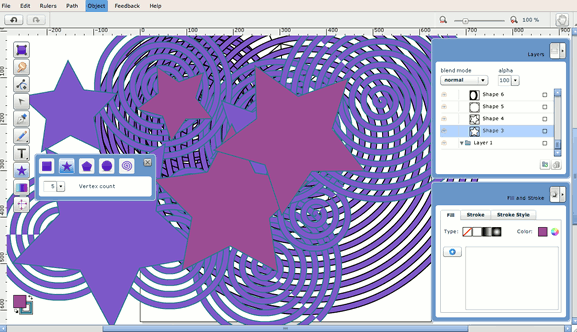 Raven allows you to design artistic creation by free hand. You are able to create your own shapes or the ones that are provided. As Phoenix, you are able to create different layers and group them together. You are able to modify the fill and stroke to the shapes you create. I’m not much of artist, but if I were, I could create great designs using Raven. 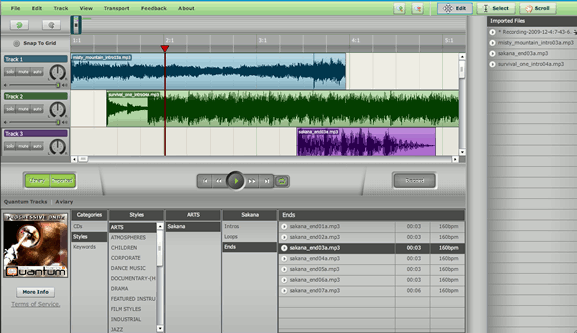 If you are a podcaster or musician, Myna is a ery useful audio editor. You can use QuantumTracks, if you want to have a starting point. There are three tracks that you can combine together to create your podcast (or song). It has a recorder, so you can use your voice. 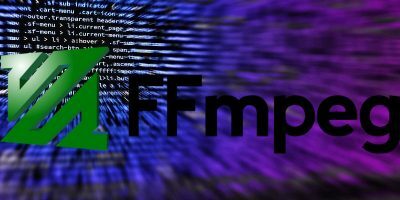 If you want to import music in from your local drive, you can as well. Even if you are starting out, Myna is not hard to use. Falcon allows you to easily make changes to an existing image or start from scratch. It seems to be a light version of Phoenix, so it really isn’t needed. 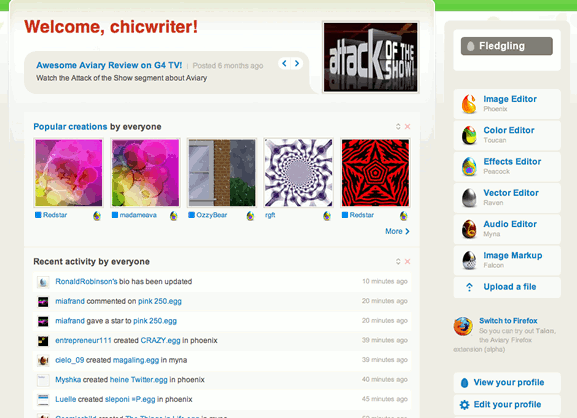 Talon is a Firefox-only extension that allows you to take snapshots of an item on your screen. You are able to save, copy, or edit it using one of the editors. It only works on Firefox version up to 3.5, so if you downloaded the new Firefox 3.6 beta version, you won’t be able to use it. Aviary has a lot of features that would be useful to a variety of designers. What’s great about it is that it also has its own social networking site, so you are able to connect with other artists, and view/share work. Some of the editors, especially Phoenix, slowed down my computer a tad bit. Even so, I thought Aviary is a great web application. Adobe Creative Suite, has to allows a create all types of print, web, and mobile design. It’s an provide kind of the designs parts to creating and imagination for doing well stuff.